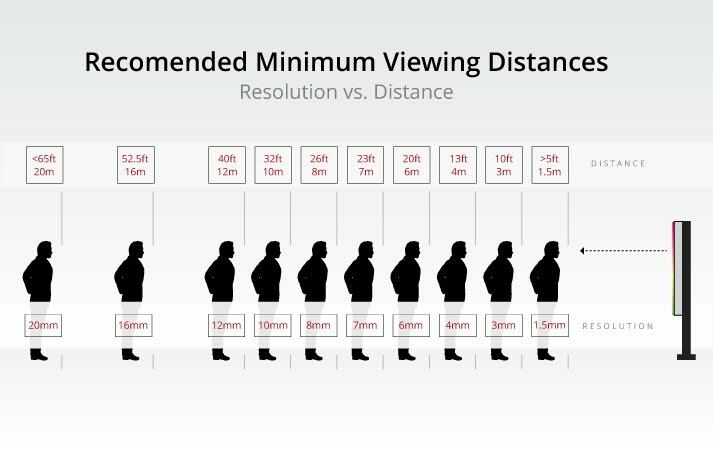 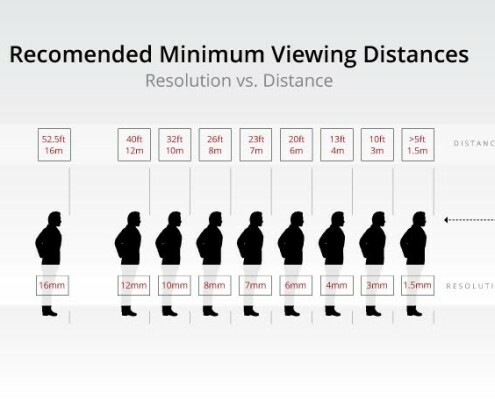 LED viewing distances by rule of thumb is generally accepted to be 1mm of pixel pitch for every meter distance from the screen. 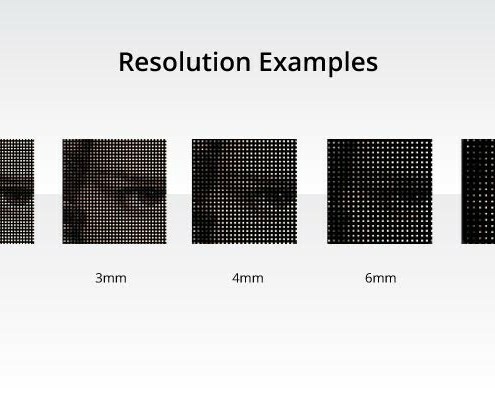 The LED pixel pitch is the distance between each LED pixel. 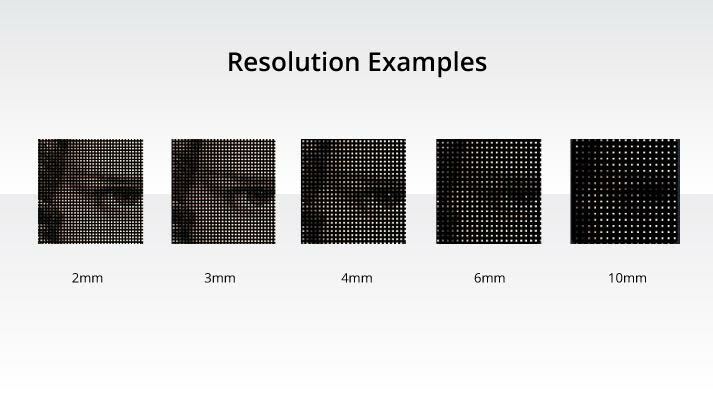 If a screen has a pixel pitch of 10mm then the centre of the LED is a distance of 10mm both horizontally and vertically from the next pixels.